The Claire is a stylish coffee table that feature a close triangular lattice metal work design. Enjoy lounging in the sun reading and sunbathing with a hot, or cold beverage at your convenience on the Claire table. In the evening the Claire table would also double up well as a drinks and cocktail table for those with larger hosting needs. The Claire table is also lightweight and weights only 13kg which makes it easy to move around until you find the perfect place for the Claire table. 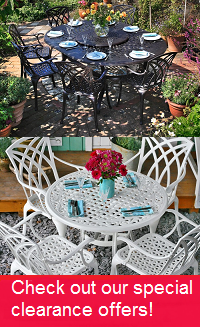 Guarantee yourself the best price for the Claire metal garden table in White today. Pre-order your set now and we will guarantee you the lowest price when you place a pre-order for Spring 2019. 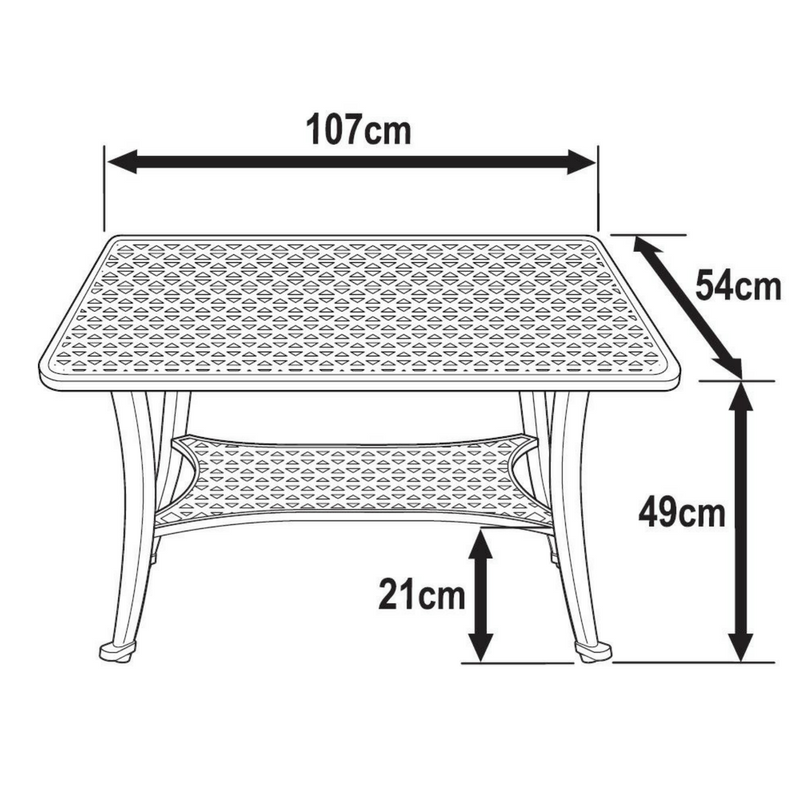 We will only be making 30 of our Claire rectangular cast aluminium garden tables for the 2019 season, so time is of the absolute essence. Place your pre-order today, guarantee yourself your garden table and pay nothing at all until a week or so before dispatch in 2019. Simply add the set to your basket and choose 'Bank Transfer' at checkout. Our Claire metal garden table in White will turn any garden into an idyllic outdoor seating and dining area, perfect for entertaining guests. For a time-worn effect that remains strong throughout the ages, pop on over to the Claire in Antique Bronze, or its charming sister in Slate Grey. A prompt and efficient service. Really pleased with the table I bought. Fast delivery - good information regarding the delivery - the goods were well packed. The table is beautiful with a good finish. Let's see if it lasts. I found the company extremely helpful sending me a sample to match with existing furniture. The order arrived exactly when they said it would and I am delighted with the quality and look of my purchase. Thank you all involved. I would highly recommend you. Great service from the company. We were kept informed at all stages of the delivery. The table was easy to assemble and looks good overall. It's a bit of a bright white for my taste at the moment... but I guess that a few months outdoors will take care of that!